Whether you call them food stamps, food share, SNAP, or QUEST card – they all qualify you for the FSET program. It’s free, it works, and it can help you get a job that works for you and your family. ABAWD stands for “Able-Bodied Adult Without Dependents.” ABAWD’s are now subject to a work requirement to continue getting FoodShare benefits. FSET helps you meet this requirement while also helping you get a great job. 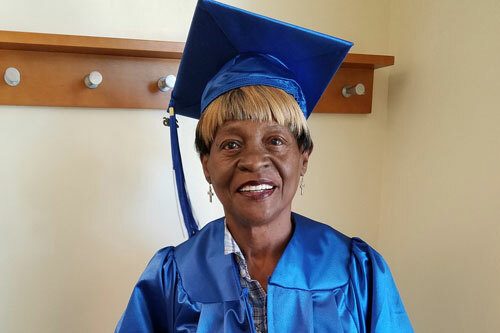 WillieMae is 66 years old, but she will smile when she tells you that “On the day I graduated I thought I was younger than I was.” After a lifetime of hard work, WillieMae knows that the value of earning her HSED was about more than earning a paycheck. It is a badge of honor and accomplishment - something she can use to inspire generations to come. She met challenges along the way, but joining the FSET program gave her the final support she needed to succeed. Today, WillieMae says that the joy of holding her degree gives her the confidence to overcome any obstacle.